The chief part of the stories, however, turned upon the favorite specter of Sleepy Hollow, the Headless Horseman, who had been heard several times of late, patrolling the country; and, it was said, tethered his horse nightly among the graves in the churchyard. The story was immediately matched by a thrice marvelous adventure of Brom Bones, who made light of the Galloping Hessian as an arrant jockey. He affirmed that on returning one night from the neighboring village of Sing Sing, he had been overtaken by this midnight trooper; that he had offered to race with him for a bowl of punch, and should have won it too, for Daredevil beat the goblin horse all hollow, but just as they came to the church bridge, the Hessian bolted, and vanished in a flash of fire. All these tales, told in that drowsy undertone with which men talk in the dark, the countenances of the listeners only now and then receiving a casual gleam from the glare of a pipe, sank deep in the mind of Ichabod. From Disney's The Legend of Sleepy Hollow to the current TV series Sleepy Hollow, passing through countless other adaptations to the screen, I cannot recall not being fascinated by the tale of a headless horseman, riding through the woods in the dark with some murderous intention. However, I never had the possibility to read the original story. Well, not until recently. Forget everything you've ever seen or heard about Sleepy Hollow. Forget the courageous and brainy Ichabod Crane. Forget the constant looming presence of a murderous horseman without a head. That story is not the one written by Irving. 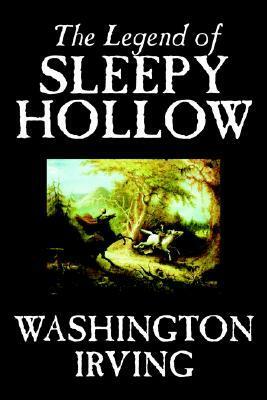 Yes, it is set in Sleepy Hollow. Yes, it does feature Ichabod Crane as the main character. And yes, there is a headless horseman. But this is not the horror paranormal story that everyone thinks of. No, this is the tale of Ichabod Crane, a superstitious and, in my opinion, cowardly professor, who goes to Sleepy Hollow to exert his profession. While there, he falls in love with the beautiful and to-be-God-damn-rich Katrina Van Tassel. Or does he really love her? He decides to marry her for the benefit of, well, wealth. Unfortunately for him, another is competing for her hand. And this, not the terrors of the horseman, is the story of The Legend of Sleepy Hollow. "So where does the supernatural come in?" You may ask. It is hinted throughout the story, but spoken of as stories that were whispered in parties. "And the horseman?" Why, right at the very end. I will not tell you how, why, or what happens, for that would be spoiling the whole story. Not that there is much to spoil in my opinion. In fact, I was sorely disappointed with the narrative in the whole. This is one of the very few times when I highly prefer the adaptation to the original. 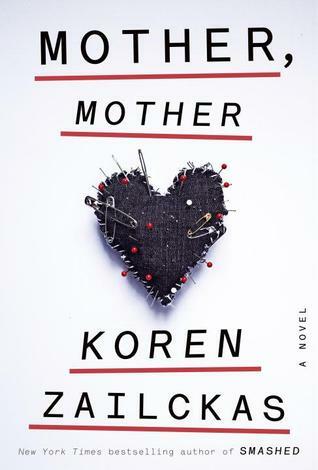 The characters were bland (not unlike "real" people, but bland nonetheless), the plot was virtuously non-existent, and the little plot that did exist was overshadowed by endless descriptions of literally everything. If these were isolated problems, I would have no issue with the story. But that is not the case. The only good thing I found in this tale was the language and the wording Irving used. Not enough to make me enjoy the story. Perhaps I am wrong in all of these accounts. I'd like it to be so. Still, I can't shake the feeling that the 8-year-old me would be brokenhearted if she knew this is where the headless horseman comes from. "Just sufficient time had elapses to enable each story teller to dress up his tale with a little becoming fiction, and in the indistinctness of his recollection, to make himself the hero of every exploit."